[Satnews] With the increasing number of Ka-band High Throughput Satellites (HTS) coming into service, there is a growing need to provide affordable solutions for compatible ground terminal equipment. To be competitive, these need to offer a rich feature set, great flexibility, increased power, and high reliability to serve both enterprise as well as government applications. 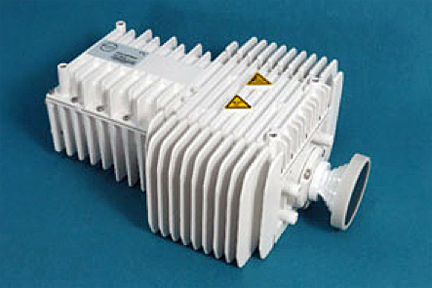 The Mercury Ka-band 5W VSAT Transceiver from Skyware Technologies. To address this need, earlier this month Skyware Technologies developed, with support from the European Space Agency (ESA), a new next-generation Ka-band transceiver for use with SATCOM terminals. This new highly flexible transceiver platform, called Mercury, offers a variety of receive and transmit options to the end user including switchable frequency bands, electronically switchable polarization, plus comprehensive in-built Monitoring and Control (M&C) capabilities. Skyware Technologies was the prime contractor to ESA for this project, turning the Ka-band technology developed in the ESA ARTES 3-4 project into a successful product line. The new transceiver is now in production with hundreds of units shipped for applications that include Inmarsat’s Global Xpress, Athena Fidus, and other regional satellite network platforms. The Telecommunications and Integrated Applications (TIA) directorate of ESA operate the Advanced Research in Telecommunications Systems (ARTES) program enabling European and Canadian industry to explore innovative concepts to produce leading-edge satcom products and services. 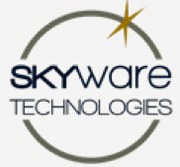 “The Mercury project has benefited Skyware both from an engineering perspective and a commercial perspective,” said David Geen, Vice President of Business Development at Skyware. 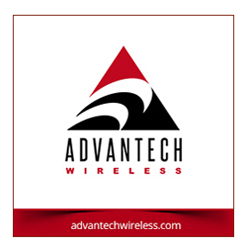 “On the engineering side, it has extended our capabilities through the implementation of higher RF powers (5W now with 10W in the pipeline), wider bandwidths (2GHz receive and 2GHz transmit), flexible integration methods, and more feature-rich M&C. On the commercial side, it has allowed us to expand our customer base to include key industry players who now act as value-added resellers for our new range of Mercury-based products, such as the ATOM FlyAway terminals. The technology developed through the Mercury project is finding its way into a range of new products, allowing us to address different market sectors with innovative features and capabilities." "High throughput Ka-band satellites have become one of the most important segments of the SATCOM industry," said Enrico Lia, microwave engineer and Mercury project supervisor at ESA." It was critical for the competitiveness of the European space industry to have strong offerings in this market. The technology from Mercury supports comms on the move, comms on the pause, manpack as well as fixed systems. Its flexibility is key for these new systems."